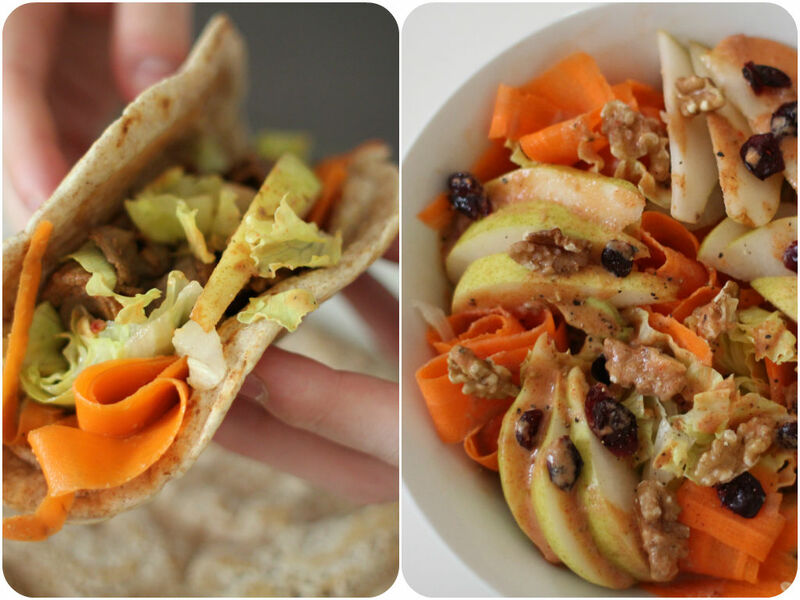 Classic Waldorf salad consists of slices of apple, celery and walnut on a bed of lettuce dressed in mayo. Just in case if you are wondering, the name comes from the Waldorf Hotel in New York City where the salad was first created between 1893 and 1896. I made my own twist on it today, changing ingredients a little bit and making a healthy “mayo”. You can add chopped chicken or boiled eggs to add more protein in this salad as well. For the healthy chips, I baked sweet potatoes instead of deep fried white potatoes. Sweet potatoes are a great source of vitamin A, vitamin C, manganese, B vitamins, potassium, and iron. They provide a ton of antioxidants for free-radical fighting and anti-inflammatory properties. They’re also low on the glycemic index, meaning their natural sugars won’t spike your body’s blood sugar, plus they’ll keep you fuller for longer. Sweet potatoes are also loaded with fiber. It keeps your bowels healthy, helps to prevent diabetes and heart disease, and maintains healthy nutrition and body function. 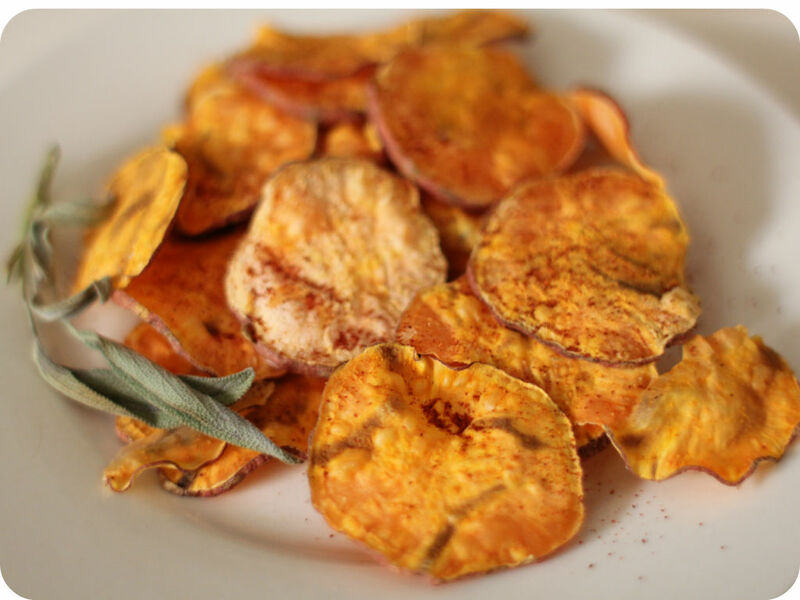 When you make crispy sweet potato chips it is important to slice as evenly as possible and pat dry really well before you dress with spices and oil. Moving onto the dressing. I like using a tahini dressing in salads. A little teaspoon has a powerful flavour – nutty and creamy, a good replacement for mayonnaise. It is tasty as well as nutritious. Tahini is a paste made from sesame seeds that is loaded with omega-3 and omega-6 fatty acids as well as a good amount of protein, thiamin, phosphorus, and copper.